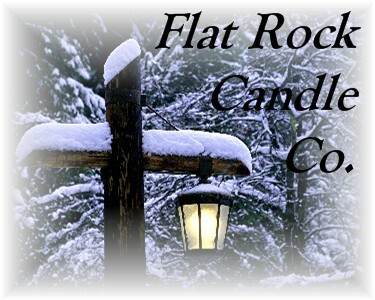 FLAT ROCK CANDLE CO. products at your favorite gift shop! one of our beautiful Central Upper Peninsula recreational areas. we’re sure you’ll add it to your “favorites” list with its natural aroma of fresh Cedar Wood. U.P. SUNRISE: A romantic blend of Fruits and Florals, with the light and airy scent of Sea Breeze; our U.P. Sunrise candle boasts a no-nonsense clean scent and recognizes spectacular Upper Peninsula sunrises! of wood smoke. These perfectly blended scents will draw you out of the woods and towards the comfort of a warm wood fire. scent. Great Lakes Blue in color, our U.P. Waters scent is perfect for gift-giving or self-indulgence! APPLE CINNAMON: A must have! This unique blend of apple and spicy cinnamon will keep you coming back for more! blend is a perfect reminder that lazy Summer days are right around the corner! Favorite rooms to scent: bath, bedrooms, and at the office. blueberries. Our Country Berry Hotcakes candle is like no other and is a best-seller among many country stores. *CRANBERRY SPICE: One of our holiday best sellers! A mix of our favorite Cranberry scent and all the holiday spice we could muster. *WARM APPLE PIE: Tangy orchard Baked Apples, spices of Ginger, Nutmeg, Cinnamon and Clove make our Warm Apple Pie almost as good as Mom’s secret recipe! the earthy hint of nutty hazelnut. nutty Coconut, sweet Pineapple, tangy Orange, and yummy Mango. Guaranteed to send your senses packing for warmer climates! Chocolate without any of the guilt! LAVENDER: Unwind and enjoy the soothing effects from our perfectly scented Lavender candle. blended especially to fight off the winter blues for all you “green thumb” gardeners. *ORANGE & CLOVE: Our strongest scent yet! Clove with just the hint of tangy Orange mixed in. Buyers Beware! We make this candle extra “clovey” on purpose. your Winter “must have” list. SUN RIPE RASPBERRY: Delight in our Sun Ripe Raspberry candle; a mouth-watering blend of tart and juicy raspberry straight from a summer's sun-kissed berry patch. WINE CELLAR: (NOW DISCONTINUED) Our original best seller! The distinct flavor of oak-aged grapes and fine burgundy wine defines our robust, one-of-a-kind Wine Cellar candle. Sure to leave you weak in the knees and craving more!